My Patio has a wide range of design styles and options to compliment your home. 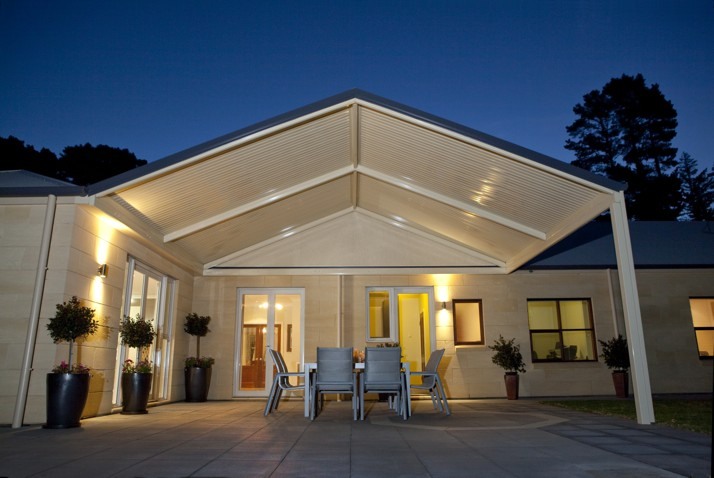 Our patios are perfectly suited for alfresco entertaining areas, pool covers and carports. Your patio could be a gable, dome, or flat roof, or even any combination of these. Our exclusive design and engineering mean we can create a special area just for you, your family. This makes it perfect for a large outdoor patio or entertainment areas, verandah or carport, both freestanding or attached. 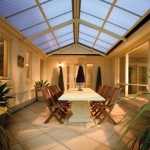 My Patio uses only quality Australian made Bluescope® Steel to exacting standards with fully welded (not bolted) components and hidden brackets, your patio is designed and manufactured to last. 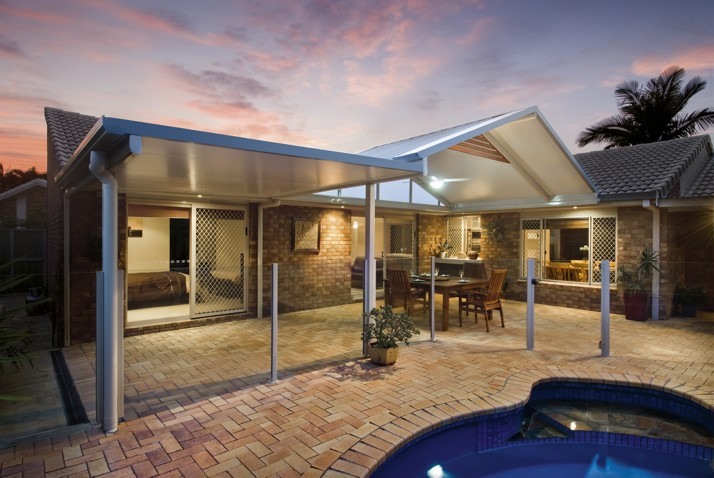 Frames are powder coated to a wide selection of colours and gutters are supplied in long life Colorbond® finish. There’s a wide range of roofing to choose from. 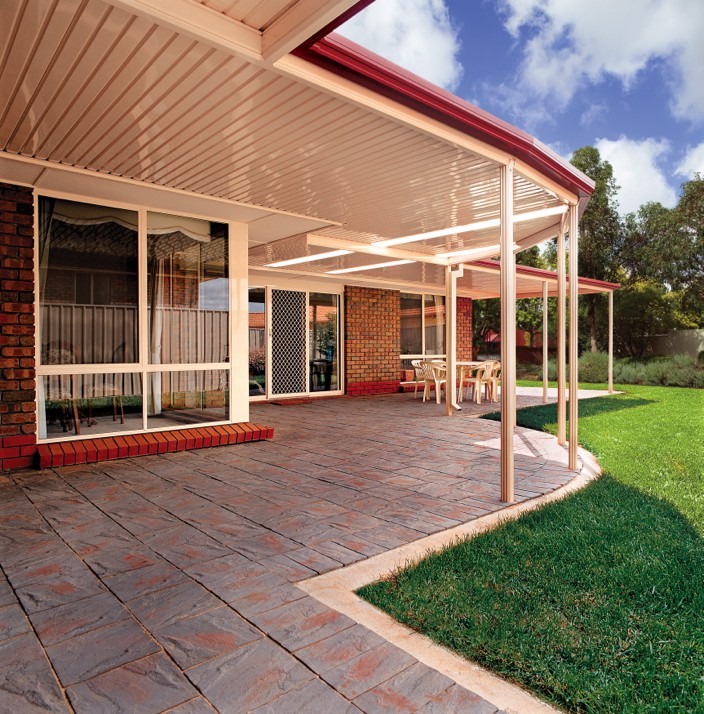 For maximum shade Colorbond® or Solarspan® is available in a wide range of profiles and colours. 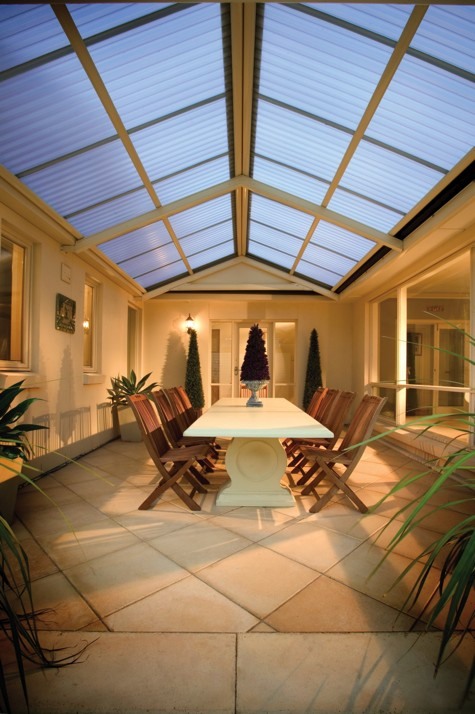 To avoid blocking light and making your rooms dark, we recommend polycarbonate patio roofing. 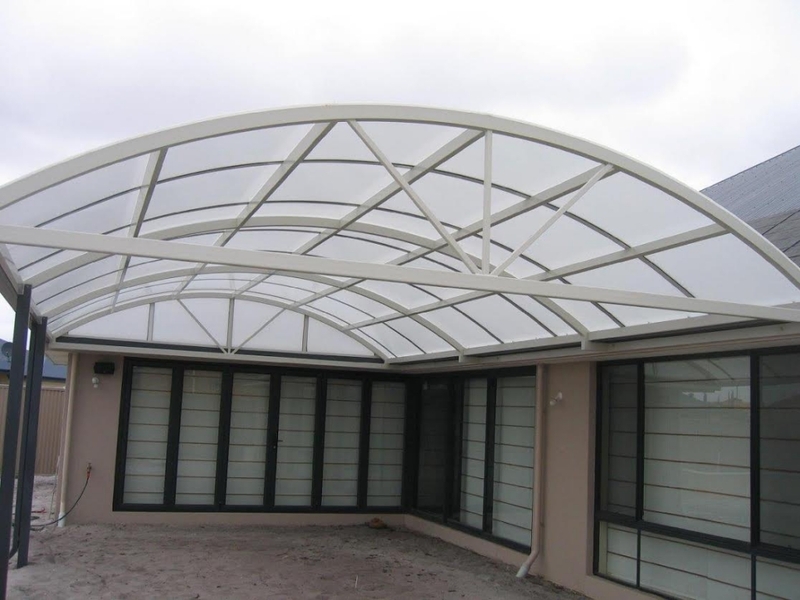 Polycarbonate roofing is available in a profiled sheet or flat, twin, or multi walled sheets. 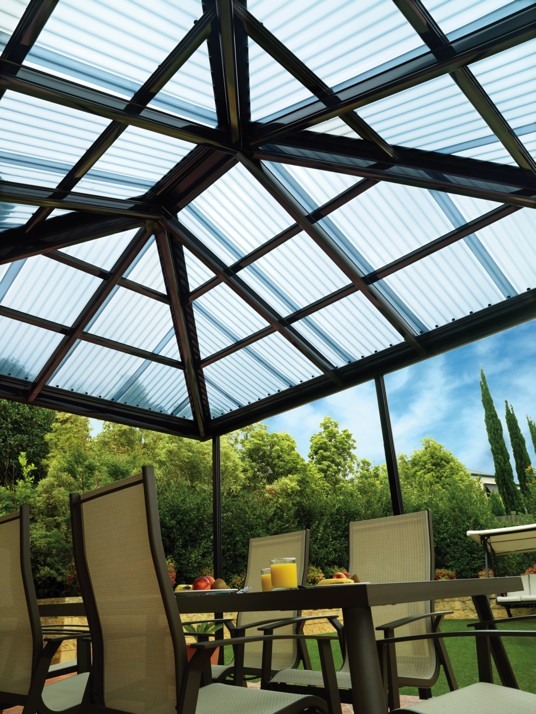 Both steel and polycarbonate roofing are available in a wide range of colours and profiles to compliment and add value to your patio and home. 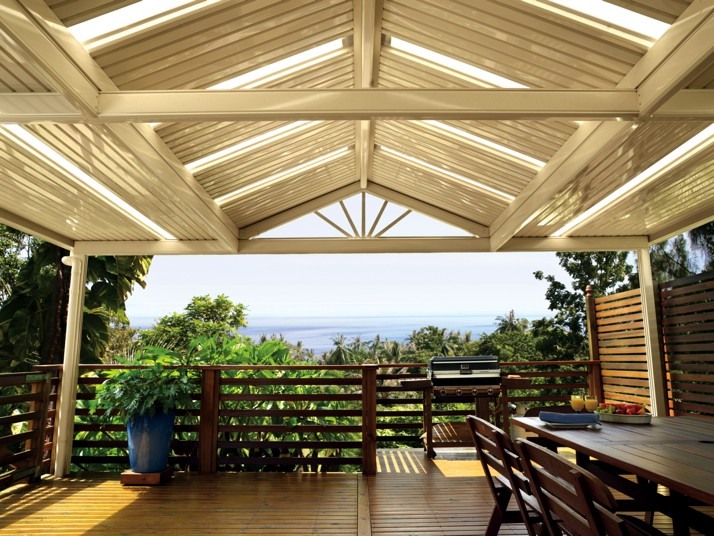 All three roofing choices provide unique heat reflective technology using an embossed finish to eliminate harsh glare from the sun while proving glare-free diffused light which uniformly illuminates your outdoor living area. 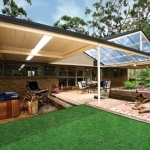 You can relax and entertain under your new patio or verandah area in total comfort. We build custom designed and manufactured DIY patios and carports to your specifications in as little as three weeks and often less. 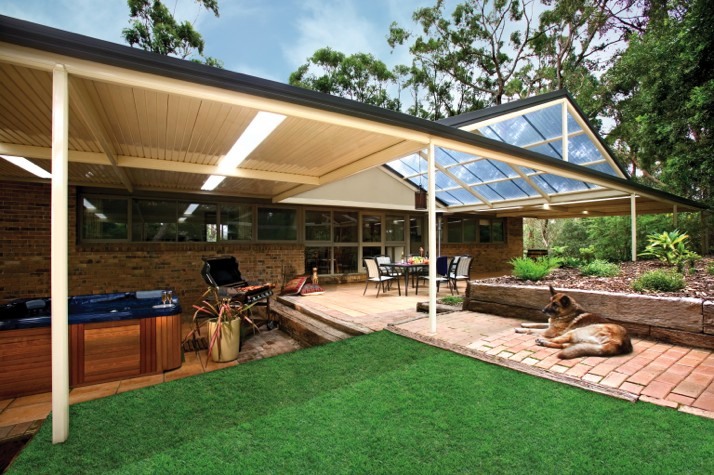 Call us today to find out how easy it is to start planning your new patio, alfresco area or outdoor living area. We answer 7 days on 0420 361 450 . Also, please to visit our photo gallery and we would be delighted to meet and greet you.